The (high) difficulty level of the demo was partly due to the fact that I wanted to squeeze everything in. In the actual game, you might be able to reach level 8 before it gets really tough. Ok, level 17 done, and a website made. The website is linked to in the first post, and in this post too. Its got a lot of never-before-seen screenshots. You can click on the 'Back to Main Page' button at the bottom to go to my site. Great, website is nice though not obviously not much there yet. You say you've finished Level 17? I just downloaded the demo and it's still the 3 level version. When might you release a new version? And how do you plan to implement different difficulties? I can't even do the first puzzle on the second or third level, and on the first I have to try several times. Will you provide multiple difficulties for a given level (e.g. by slowing down moving blocks) or will you provide and 'easy' group of levels, and 'medium' group, etc? Or maybe some other approach? Though I must say, you've got some excellent puzzles in there. The first puzzle of the second level (with the moving platforms) looks good. Pity I can't even get on the first platform! I don't think I will release any more demos, since the levels that would be in the demos would be in the actual game, allowing you to play the levels before the game is released. But don't worry. I think I will be able to release the game after around 3 weeks. And about the difficulty, remember that the demo was much harder than the actual game. In the actual game, you will progress slowly, so you won't find it really that difficult. 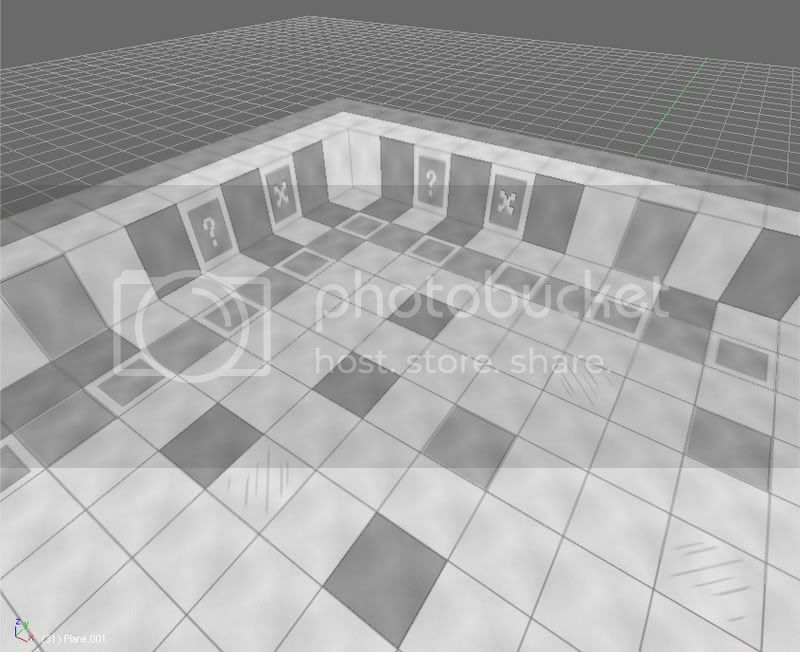 For example, the second level you see in the demo is the ninth level in the real game. One main thing is that you might have noticed that, in the demo, if you get on a Moving Platform, you don't go along with it. You need to run along. But in the actual game, Moving Platforms will really move you around. Hmm.. What should the theme of the third world be? It will be the last world. 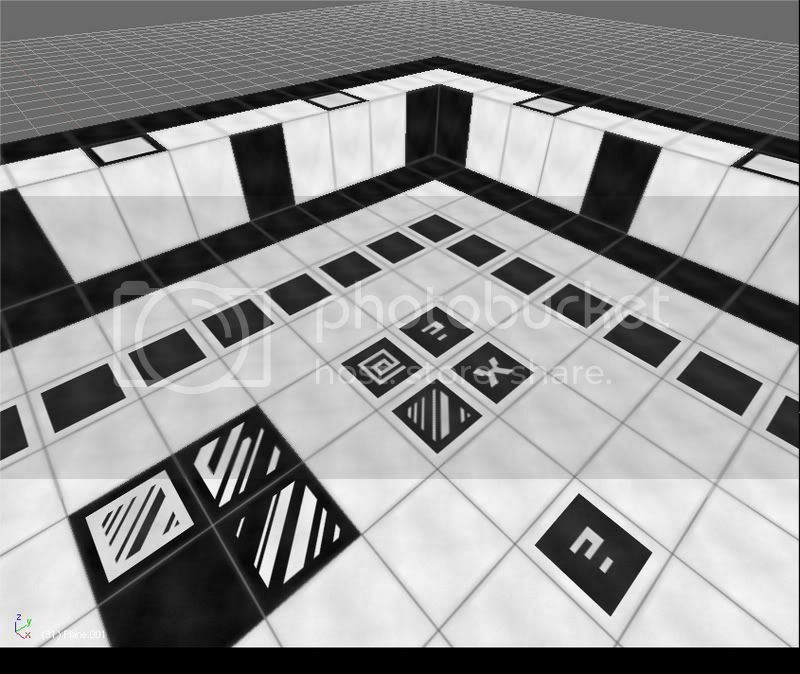 My friend suggested an 'unkown' theme, where the blocks are mostly white tiles, or tiles of a very light tint of any colour, some of them with question marks or algebraic 'x' symbols (to symbolise the unknown). EDIT: I finished making the 18th level. 3 more than half the number of levels are completed now (figure out how many levels I am aiming for yourself). Ok, I finished making the 19th level! Development has become really fast, because we have holidays and the annual exams are over (no studying). Now I really need theme ideas for the 3rd world, before I start making the 21st level. Maybe you could use hedges? The traps will be the same. Just the theme of the walls and floors changes. What should be there on the website? Hype. Lots of hype. You're finishing a game, and that's actually a big deal. Most people don't get anything to show. Show it off. Maybe a video link for a quick showcase, more screenshots (maybe some smaller thumbnails), features lists. None of it is required of course. My one question about the "look": a lot of screenshots show a sort of low-contrast lighting going on. There is a lot of detail to the individual pieces of the levels, but it feels drab. Is that just sort of an industrial theme to game, or to one of worlds, or what? Praetor wrote: There is a lot of detail to the individual pieces of the levels, but it feels drab. Is that just sort of an industrial theme to game, or to one of worlds, or what? The first world has a 'Lab' theme, and the second one has has an 'Egypt' theme. I can change them in a matter of ten minutes though, by replacing the image files, so its not a problem in case they have to be changed. I will add more detail and special textures (such as heiroglyphs in Egypt, or blueprints of GraLL and its ancestors in the lab) later. There are already many special textures, but I will add more. This can easily be done by making the texture, selecting the face that has to have it in Blender, exporting and voila, cool new textures! And thanks for the website stuff ideas. But, I will add them later, not now. I made a trailer for GraLL. Watch it here. Its the first trailer. The blueprint and glyph ideas are great. If you were going for industrial then you nailed it for the first "world." I can't wait to see what the egypt theme looks like. To combat drabness try to create a little sharper contrast by giving some real lighting. That is, less ambient and more direct lighting. To keep the levels well-lit you can use a directional light for the main lighting scheme and maybe a few well-placed accent lights. The industrial theme you probably want to keep the lighting sort of sterile, but I imagine in the egyptian theme some harsh, direct lighting will add to feeling (you know, intense desert sun and all). Thanks for the suggestions. I will look into them. Did you watch the trailer? Yep, it was pretty good. Some of the cuts were a bit short. Maybe you could show a few longer segments of gameplay for the next one. Praetor wrote: Yep, it was pretty good. Some of the cuts were a bit short. Maybe you could show a few longer segments of gameplay for the next one. Yeah, I know. That was a fast-made-hurriedly-thrown-together video. But its a trailer anyway, shouldn't give much away. I'll make a better one later, when the third world is finished. That reminds me, do you have any theme ideas for the third world? How about an underwater world? The gravity can be turned down a bit, get some blue fog in there, seaweed, etc. I've finished making level 20. Now I need to play it to see whether it is possible to pass. And also, I need theme ideas! If any of you have some good ones, please reply describing them. Phew. I finished testing level 20 at last. Once you finish the 10th level, the game tells you that you are being transported to Egypt for further testing. In the 20th level, you can see a pyramid. The end pad (exit) is in the pyramid. Once you enter, it says that you found the tomb of Psusennes I (one of the pharaohs, actually, the tomb is already discovered ), and that you will be transported to <insert new theme's place here> for, guess what, even further testing! What is the final objective other than to finish? Prezadent wrote: What is the final objective other than to finish? The whole game is a big test for the robot. So, the objective is to pass the test and be certified for usage. Ok, the third theme has been decided. It will be an unknown world with very light gray tiles, some dark, some of them having question marks and algebraic literals, and some of them having stripes tinted some colour. Some tiles will also show fractal patterns and the like. When GraLL has finished the tests in Egypt, he will be teleported back to the lab, but an error occurs and he ends up in an unknown dimension. He must return to the normal dimension. This is what world 3 (tests 21 to 30) is about, with the toughest tests ever. Nice, I like the more lighter look. Thanks. I'll start working on the 21st test tomorrow. Gonna watch some YouTube and sleep. And don't worry about the darkness of the special tiles. They will be much less frequent in the actual levels. I had to make them so frequent here because I had to show them all.